We owe our current success to all stakeholders who have rendered support to us. With sincere gratitude to them and in the belief that we can enhance our sustainability only when each and every employee acts out and practices our philosophy of "Contribute to society through our high-quality matching service," we aim to become a company trusted by society through fair business practices. In an effort to become a company trusted by society as a whole, we have established rules and manuals, according to which we commit ourselves to clean and transparent decision-making, operations, and information management. 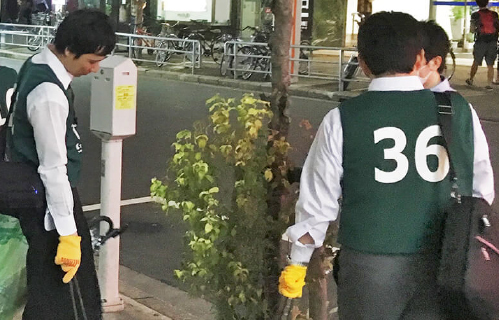 As a company that has the largest life service platform in Japan, we aim to create a workplace where diversity is respected regardless of race, gender, age or religion. We ensure that all employees give their abilities full play to continue expanding overall organizational strengths. We encourage employees to attain a proper work-life balance and actively obtain leave, promote a management system to maintain good health, and provide support for employees' efforts toward capacity building and acquisition of qualifications. We are deeply concerned about our work-related environmental issues and join forces with each other to address such issues. In an effort to enhance the safety, comfort, and satisfaction of customers (users) through our services, we conduct a questionnaire survey on a regular basis. We value survey results as precious input from customers and as a measure to meet their needs and see where we stand. “Uchimizu” is an old Japanese custom of watering gardens and/or streets for the purpose of cooling down in summer. 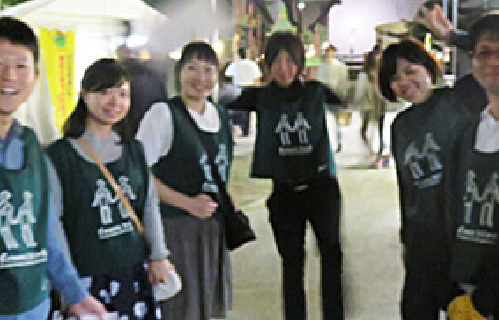 We participated in “Uchimizu” event which was intended to verify scientifically the effect of traditional “Uchimizu” by all begin watering together at the same time. This event offered a good opportunity to think about saving electricity in midsummer and easing a phenomenon of heat island. This event impressively succeeded in lowering the surrounding temperature. Also, “Yukata”(an informal cotton kimono) worn by many participants contributed to cool to look at. 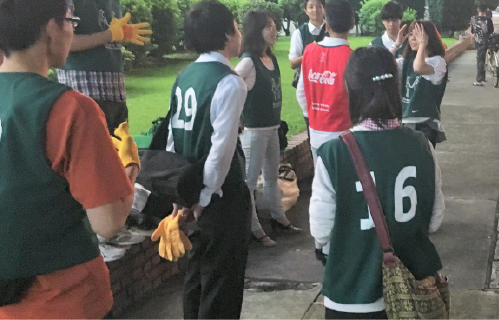 We participated in a clean-up activity by the Nagoya team of greenbird, a global volunteer group known for litter pick-up activities. This is the fifth time we have participated in this activity. 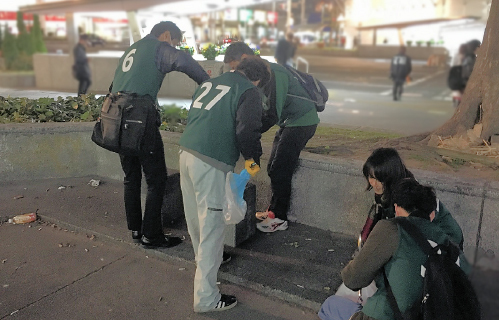 In the future, we will further promote contributions to the community and clean-up activities by participating in the litter pick-up volunteer activities of greenbird as a Nagoya-based company. 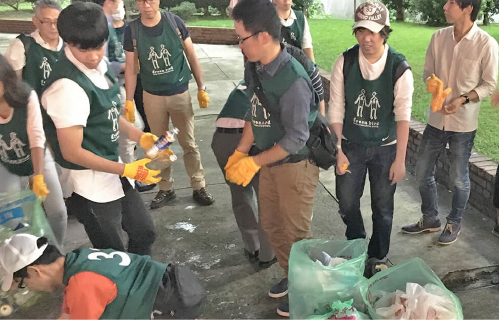 We participated in the clean-up activity by the Nagoya team of greenbird, a global volunteer group known for litter pick-up activities. 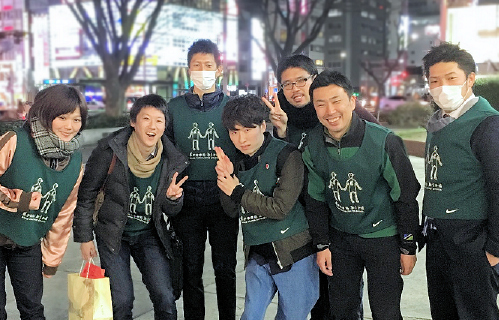 SHARINGTECHNOLOGY.INC (Representative Director: Keisuke Hikiji) will continue participating in the litter pick-up volunteer activities of greenbird and further promote contributions to the community and clean-up activities as a Nagoya-based company. 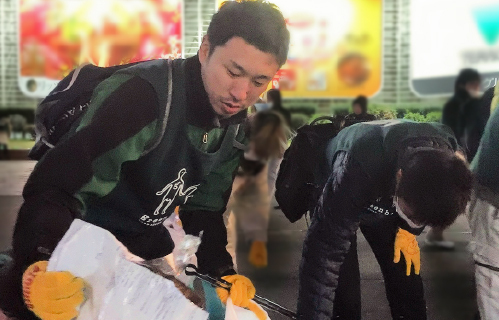 We participated in greenbird, a volunteer group known for litter pick-up activities, for the first time. 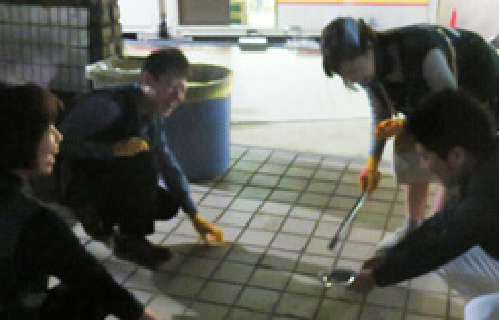 The employees of SHARINGTECHNOLOGY.INC (Head Office: Nagoya, Aichi, Representative Director: Keisuke Hikiji) participated in the volunteer activity to pick up litter in Nagoya. 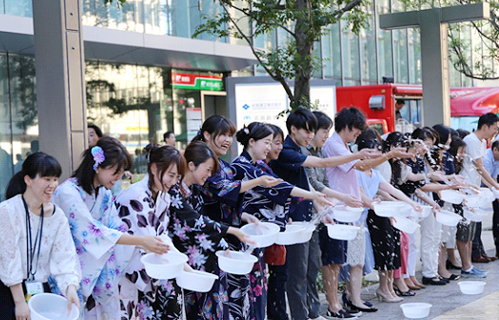 We participated in the Water-Sprinkling Campaign where participants sprinkle water (uchimizu), a Japanese tradition performed as a countermeasure against the heat, to verify the effect of uchimizu. Since leftover bathwater is used, this activity can also help to save water. 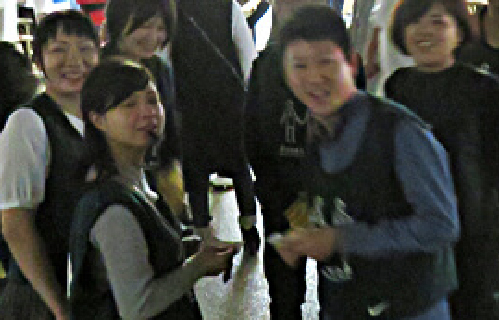 The verification of the effect of uchimizu showed that it decreased the surface temperature. 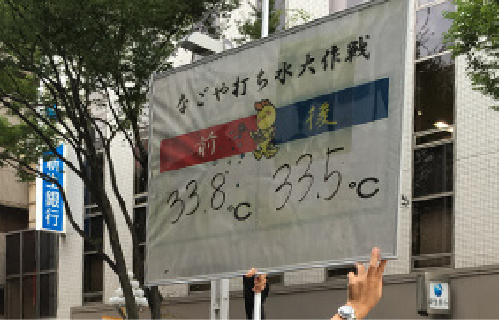 While the surface temperature was decreased only by 0.3°C, participants felt much cooler than the actual temperature since the surface heat was removed by uchimizu. SHARINGTECHNOLOGY.INC supports the Declaration on Action by a "Group of Male Leaders Who Will Create a Society Where Women Shine." Triggered by a kickoff meeting to help women shine held at the prime minister's office on March 28, 2014, a movement by male leaders in various fields to support women's active participation in society has been spreading. In the midst of such a trend, the Declaration on Action by a Group of Male Leaders Who Will Create a Society Where Women Shine was issued. Official website of the Declaration on Action by a Group of Male Leaders Who Will Create a Society Where Women Shine.